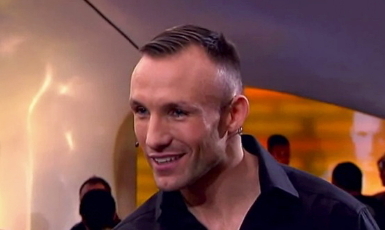 By Oliver Norager: Former WBC/WBA super middleweight champion Mikkel Kessler (46-3, 35 KO’s) may have lived a short retirement after all. Rumors going on in Danish paper Ekstrabladet is that Kalle Sauerland, Kessler’s promoter, is in Los Angeles to get a fight for the Danish legend against his former conqueror André Ward (27-0, 14 KO’s) in Denmark. Kessler announced a couple of days ago that his career was over and he was “mentally retired”, but if a fight against Ward or Carl Froch opened up for him, that would be a different situation. Mikkel Kessler is clearly putting on some pressure on his promoter with his retirement, so maybe is a big gamble for Kessler. He did have offers to fight against contenders and decent names like James DeGale and Lucian Bute. But Kessler has turned down those offers, which is understandable, because Bute was destroyed by Froch, who Kessler has a win over and a really, really close points defeat to. The loss to Froch, in May of 2013, didn’t do Kessler justice on the scorecard. He was asleep for the first 2 or 3 rounds, but after that he tighten up his defense and nailed Froch a couple of times and Froch only threw punches for the sake for it. The Dane also has a technical decision loss to Ward in November of 2009 in Ward’s hometown Oakland. Ward held Kessler 88 times in that fight and came in with his head when they were close and fighting on the inside. That should have clearly been a disqualification loss for Ward in my view, but there was a lot of things around that fight, which was fair to Kessler. Ward should have to travel to Denmark and fight Kessler on in his country. If Ward whooped the Dane fair and square in that country, there would be no questions marks about the first fight more. Ward would have a difficult time coming to Denmark and Fight Kessler. In Denmark’s biggest stadium, The Parken Stadium, they can hold up to 40,000, which would be no problem getting with Kessler being a superstar in Denmark and the hate there is for Ward, because of the first fight. It would be a big ask for Ward to come to Denmark in front of 40,000 and with Kessler never been beat at home. It would be a shame if Kessler really retired at this point, because he isn’t shot and he proved in his last fight he is cabled to mix it with the best. If you look at his record he has only lost away from home and that is against great fighters. Joe Calzaghe has been introduced in the Hall of Fame and his fight against Kessler was back in November of 2007, where Calzaghe was in his prime and with over 60,000 at the Millennium Stadium. He was always going to win that fight and it was a really close fight between two fighters who were in their prime. Kessler’s 2 other losses against Ward and Froch and they are great fighters. I see Kessler’s reason to why he retired as fair. When you have mixed it with of the best, it is difficult to fight some and coming contenders like James DeGale, but as he said, if he can get the fights against Ward and Froch. Froch should be interested in settling the score against Kessler and have the trilogy-fight, to prove who is really the best fighter, but he is only concerned about his legacy and fight Julio Cesar Chavéz Jr. I think that is an easy fight for Froch and a big payday for him, but the fight the Brit should have his eyes set on Kessler. But with Forch not being interested, Kessler and Sauerland has their eyes on the American, who has a hard time getting a fight, so he should be interested in going to Denmark, prove the doubters wrong and in that, getting a massive payday.